This book was too bogged down for me. Just couldn't get into the story even though it sounded fascinating in the description. Detailed yet very readable true story of three generations of women and how the Communist and Cultural Revolutions in China during the late 1940' through the 1970's affected their lives and their families. I would like to read another book by Jung Chang. Excellent for those who love history and would enjoy the revelations of the power that women can weld. I learned much from this book about growing up during three eras in China. It was so well written that I will now read this author's book on Mao. 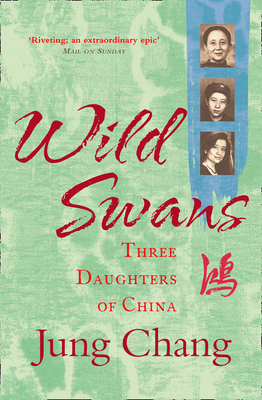 This historical retrospective records the lives of three generations of Jung Chang's family. It documents the Chinese Revolution and Mao's dysfunctional dictatorship. With China's impending rise to world dominance, this important work is a must read.